In response to recent deaths of two Public Housing residents, lawmakers are now proposing legislation requiring carbon monoxide (CO) detectors for all major HUD rental assistance programs. Senator Kamala Harris (D-CA) introduced legislation in March, requiring CO detectors in all units funded through the main HUD rental assistance programs. In announcing the Safe Housing for Families Act, Senator Harris said, “Housing is a human right. The federal government has an obligation to ensure that residents of public housing can raise their families in a safe and healthy environment.” The same legislation was introduced in the House by Representatives Chuy Garcia (D-IL) and Joe Cunningham (D-SC). The Safe Housing for Families Act would require CO detectors in all Public Housing, Section 8 Housing Choice Vouchers (HCV), Section 8 Project-Based Rental Assistance (PBRA), Section 202 Supportive Housing for the Elderly, and Section 811 Supportive Housing for Persons with Disabilities units. The legislation also authorizes $10 million over 10 years to implement the requirements. In January, two men died from carbon monoxide poisoning at Allen Benedict Court in Columbia, South Carolina. The 1930s-era Public Housing development had to be evacuated because all 26 of its buildings showed high levels of carbon monoxide. In the wake of this incident, NBC News reporting found 11 deaths due to carbon monoxide poisoning in HUD housing since 2003. HUD does not require CO detectors in Public Housing, although 27 states and the District of Columbia require them in all residential units. Even in states where CO detectors are required, enforcement is carried out by local jurisdictions and can be uneven or spotty. In most cases, Public Housing is not inspected by local officials, who rely on HUD to do its own inspections. Ironically, HUD’s Office of Lead Hazard Control and Healthy Homes has long publicized the dangers of carbon monoxide and need for CO detectors. CO detectors are already required for some HUD rental assistance programs. The 2016 Housing Opportunity Through Modernization Act requires that a lack of working CO detectors is considered a life-threatening violation of HUD’s Housing Quality Standards. These are the health and safety standards used to inspect and approve apartments for the Section 8 HCV and Section 8 PBRA programs. HUD implemented the new regulations in 2017. 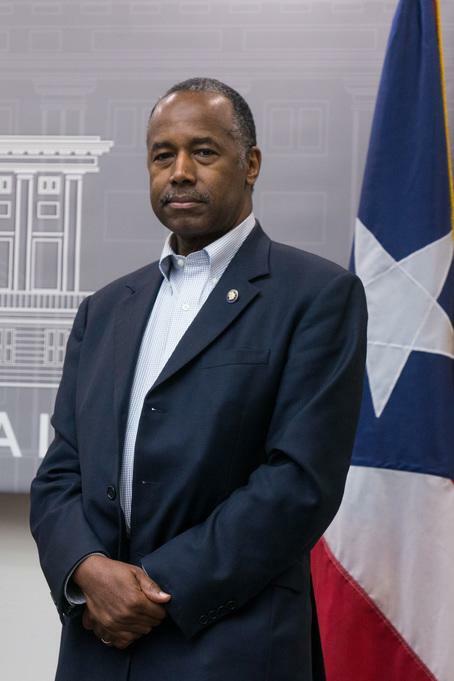 In a letter to HUD Secretary Ben Carson, the National Housing Law Project and 16 other individuals and organizations call on HUD to immediately adopt carbon monoxide detection requirements. The letter urges HUD to issue emergency guidance to PHAs and owners. The guidance should 1) require the immediate installation of CO detectors in all program units; 2) remind PHAs and owners of their obligations under state and local laws, and; 3) immediately amend the rules for all program inspection standards to include CO detectors. A letter from the National Housing Law Project urges HUD Secretary Carson to immediately adopt carbon monoxide detection requirements. Carbon monoxide is an odorless, colorless gas that can cause illness and death with limited exposure. Faulty gas-fired appliances and heaters are often the cause of carbon monoxide emissions in homes. Each year, about 50,000 people visit the emergency room with carbon monoxide poisoning, and 430 people die from it. Seniors, people with health conditions and children are most susceptible. The vast majority of Public Housing tenants are elderly, disabled or families with children. Incidents like the tragedy at Allen Benedict Court are preventable. The Safe Housing for Families Act is an overdue response to the dangers of carbon monoxide in our aging public housing stock. Housing advocates believe HUD’s Secretary can address the problem even without new legislation. With our most vulnerable residents at risk, Secretary Carson should act quickly on emergency measures. Congress should also move quickly to pass the Safe Housing for Families Act and ensure that people who receive housing assistance from the federal government have a safe place to live.